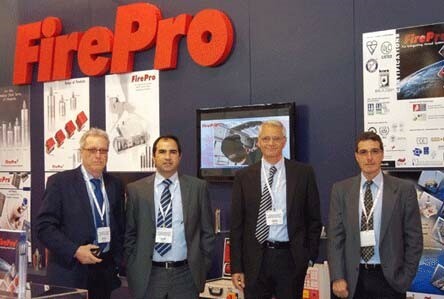 FirePro participated in FIREX 2013, held at NEC, Birmingham – UK. 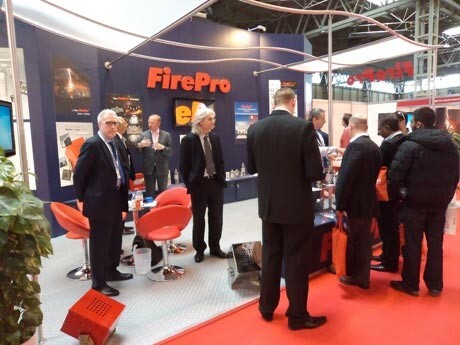 As we were informed, this was the last FIREX to be held in Birmingham, as the next show will be held in London on 17 - 19 June 2014 at Excel and thereafter taking place every year. Particularly noticeable was the tremendous increase in interest from local companies that in part is attributable to the efforts of Tony Hanley - Managing Director of FirePro UK and his team. As always, we were very pleased to receive many of our worldwide Distributors, including those from Greece, Iceland, Benelux, Bulgaria, Spain, Denmark, Iran, Bahrain, KSA, Israel and USA. A success that is measurable by the large number of interested visitors to our stand from all around the globe. 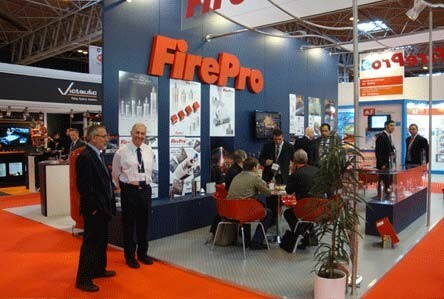 This would also be the last Expo in which FirePro has used its present positively acclaimed stand design, promising an even more advanced design for next year – a reflection of the continuing efforts to create a more desirable and ergonomic environment for visitors to our stand for the benefit of our international clientele from around the world. A warm thank you to everyone for visiting us at our Stand, and last but not least, a big thank you to Tony Hanley and his team for being there and assisting us with the Show. Rendezvous next year at FIREX International 17 – 19 June 2014 Excel London UK. See you there! 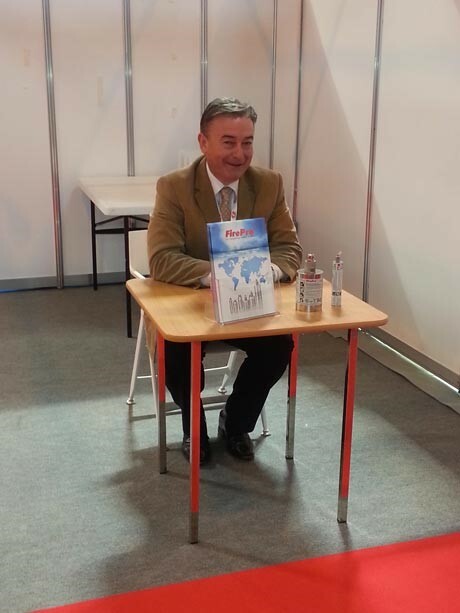 In the good spirit of FIREX and the pleasant environment, see below a photo of Tony Hanley, who decided to acquire further expo space to promote FirePro Condensed Aerosol Fire Extinguishing Systems! Well done Tony!